I know am! I was hanging out by the beach and it was such a lovely day out. 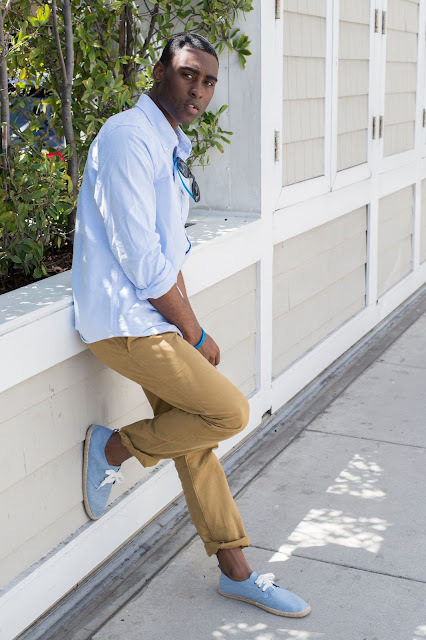 I felt like dressing preppy in a blue shirt khaki Chinos and Espadrilles. 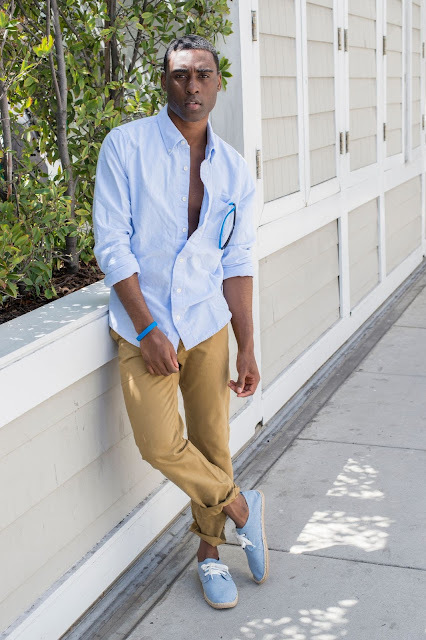 Over the past year chinos have quickly dominated menswear, coming in a variety of colors. Now with most men owning at least a pair the most common are the Beige colored ones. Are you a guy that owns chinos? Ladies do you like seeing a guy in chinos? Chat with me on my social media channels. Hey , I love your style! I personally like seeing guys in chinos! Hope you have a great holiday weekend! !